Two of the Chicago Transit Authority’s busiest train line stations will be improved and rebuilt, according to Illinois Gov. 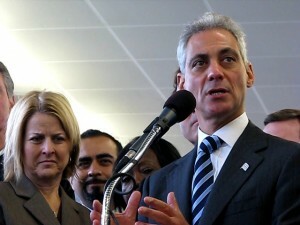 Pat Quinn and Mayor Rahm Emanuel. The two announced today during a press conference at the 35th Street Red Line ‘El’ station that “slow zones” will be eliminated, systems will be upgraded, and tracks will be repaired on the Red and Purple train lines. 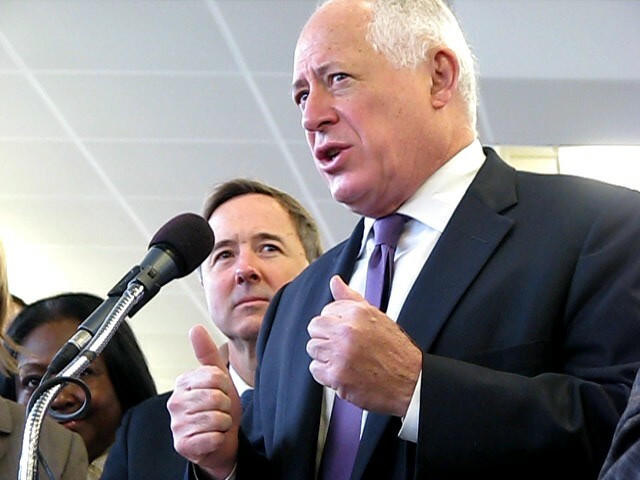 Quinn said during the press conference that this $1 billion “state capital investment” plan from a combination of state, local and federal funds would also create 2,700 jobs. “Jobs that you can support a family on, construction jobs, good jobs,” he added. Highlights of the Red Line improvements include replacement of tracks between 18th and 95th streets; upgrades to stations between Cermak and 95th streets; the stations at Wilson and Clark/Division, along with the surrounding tracks, will be rebuilt; the ventilation system will be upgraded on the underground portion of the Red Line through downtown; and three electrical substations will be upgraded, according to the press release from Quinn’s office. 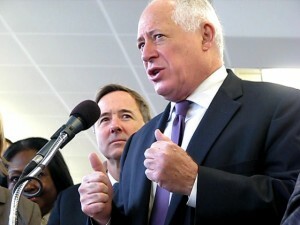 A significant portion of the Purple Line will be upgraded, and ties will be replaced on the Purple Line track between the Belmont and Linden stations, which Quinn said would eliminate slow zones on the 24 percent of the express service that is forced to operate at a maximum of 35 mph or less. 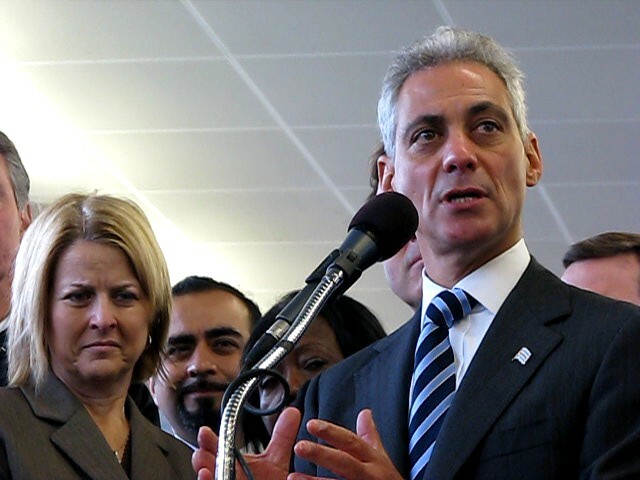 In addition, Quinn also directed the Illinois Department of Transportation to work with the CTA to ensure that minority- and women-owned businesses can compete for the jobs on this entire project. “And one thing that’s really important about transportation investments is those construction jobs are right here,” she added. “Right here in Chicago, right here in Illinois, they cannot be exported.” Schneider said that $14 billion of that capital program is earmarked for transportation improvements, with $2 billion for mass transit investments. According to Emanuel, about 38 to 40 percent of all usage of the CTA occurs on the Red Line, which he said includes parts built over a hundred years ago. “It’s time for its modernization,” the mayor said. Claypool said the renovations will also improve service for CTA customers who rely on it to get to work, and get from neighborhood to neighborhood. “It is a tremendously good day for our customers…for the city…and we will work hard to make sure that this investment reaps the dividends that it should,” he said. Claypool added that CTA will use this project along with other improvements to make CTA the “growth engine” and “the vehicle” for improving Chicago neighborhoods. Construction on the two El stations starts next year and is expected to last three years. This entry was posted	on Thursday, November 3rd, 2011 at 10:23 pm. You can follow any responses to this entry through the RSS 2.0 feed. You can leave a response, or trackback from your own site.